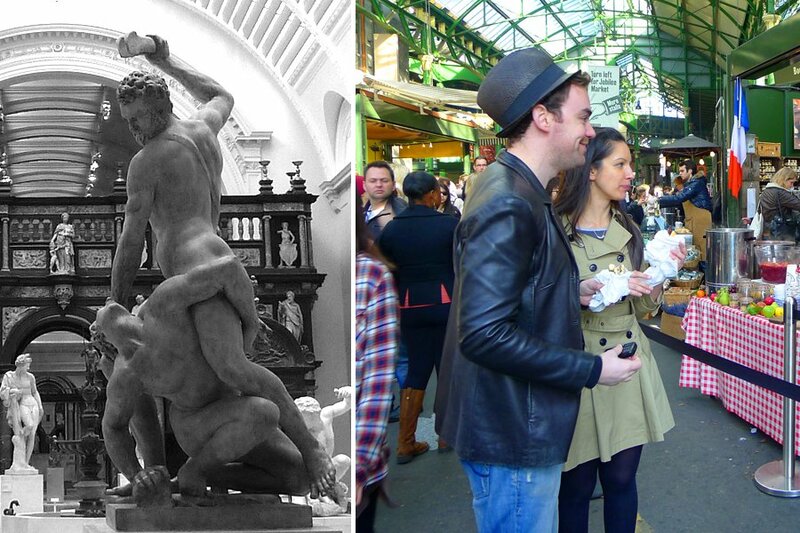 Hanging out in London at the Victoria and Albert Museum and Borough Street Market. LONDON – Everyone is talking about London 2012 lately — for the Olympics, for the Queen's 60th Jubilee, for the charge in the air — but London 1870 was just as amazing. The city is at once cutting edge and stuck in time. There's no need for a visitor to choose between the extremes: You can glide back and forth through time, often on the same block. – Just about every King of England left his mark here, as did prisoners who left vivid graffiti and queens who lost their heads. (Oh, Henry...) You get a great sense of English history through the buildings — and, of course, through the Crown Jewels. – A fantastic day trip from the city center, this was England's answer to Versailles. – One English house, 400 years of history. 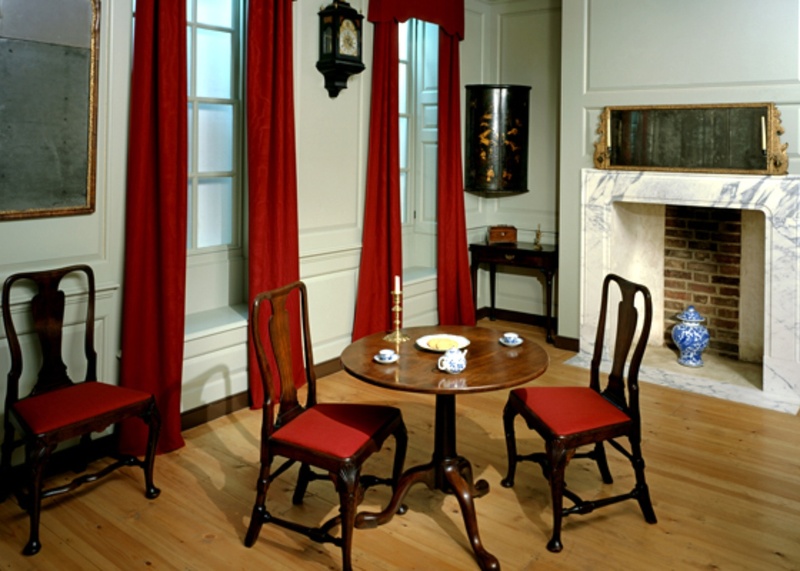 Start in the 1630s hall (nice paneling) and end in the 1998 loft (nice minimalism), with visits to several of 1800s drawing rooms (nice portraits) on the way. – Rebuilt after The Great Fire of London in 1666, it's one of London's most recognizable buildings. You can visit everything from dome to crypt. – The former home of British wit Samuel Johnson, author of the first English dictionary, is filled with prints and portraits and the stuff of his everyday life — manuscripts and teapots and chairs for having biting conversations. – More popularly known as Number One London, this was the Duke of Wellington's home for 35 years. The well maintained interiors are pretty much how he left them, the art collection is extraordinary (many Goya and Velázquez paintings), and the grounds are open to the public. – Charming and quirky architect's home where his work is displayed in inventive ways. – Named for the Queen and her beloved Prince, the massive museum has an extraordinary art and design collection from around the world. Ballgowns, furniture, ancient jewelry, carpets, theater sets — it's a style haven. – A great diversion from museums, the silly pitstop takes inspiration from the horror stories of Jack the Ripper and Sweeny Todd. Interactive and terrifying, the tourist spot actually lives up to the hype. 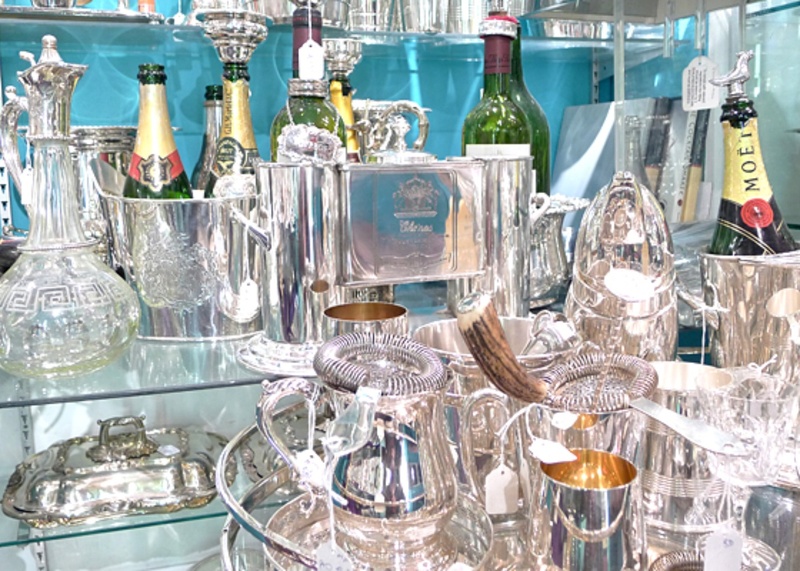 It's a party through time's best stuff at Alfie's Antiques Market. – The recently refurbished hotel, one of the city's grandest, maintains the art deco glamour that made it the place to be during the swinging era. – Freud moved into this townhouse in 1938 after escaping from Nazis in Austria. The property, now a museum in honor of Frued and his research, is home to many of his antiques and, yes, his well-known psychoanalytic couch. – There were few leaders as important as Winston Churchill and few eras as defining as World War II. This was his wartime control room and bunker. – No longer as indie as it was in the swinging 60s, Carnaby Street is now a sort of street mall filled with global brands. The fashion spirit thrives at a higher price point at on nearby regent street. – The warehouse-like indoor market in Marylebone was opened in 1976 on the site of an old Edwardian shop. Come here to browse the many stalls selling jewelry, furniture, knickknacks, luggage, books, and objets from throughout English history. – The former fruit, veg, and flower market was converted into a bustling shopping, drinking, and hanging out area during the Thatcher era and remains a symbol of that time. Notting Hill – The fancy boho neighborhood became a global symbol for a new London that was cool, rich, beautiful, and funky. still draws a crowd, though you won't find bargains anymore. – Fergus Henderson opened his minimalist Clerkenwell restaurant in 1994, kicking off the renaissance of British cooking and nose-to-tail eating. There are now offshoots and in Leicester Square. New art, old building. 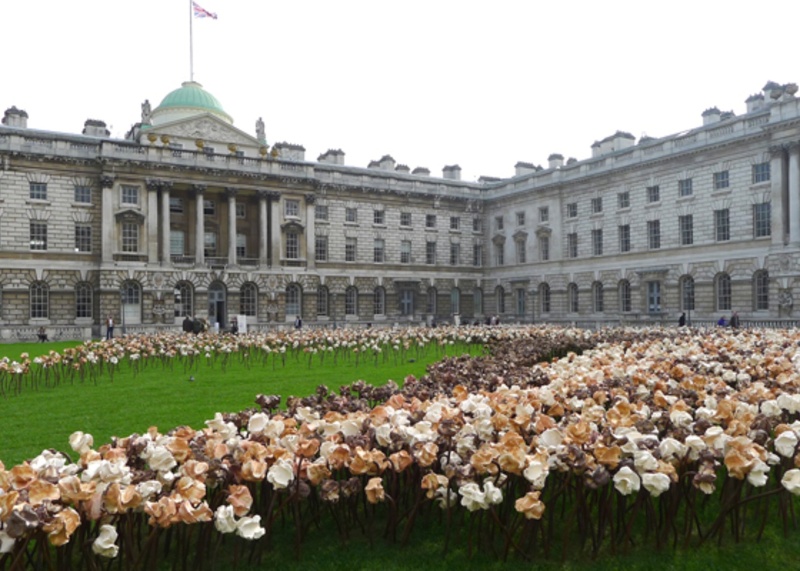 The courtyard at Somerset House. – The premier home of modern British art is located along the Thames in the former Bankside Power Station. 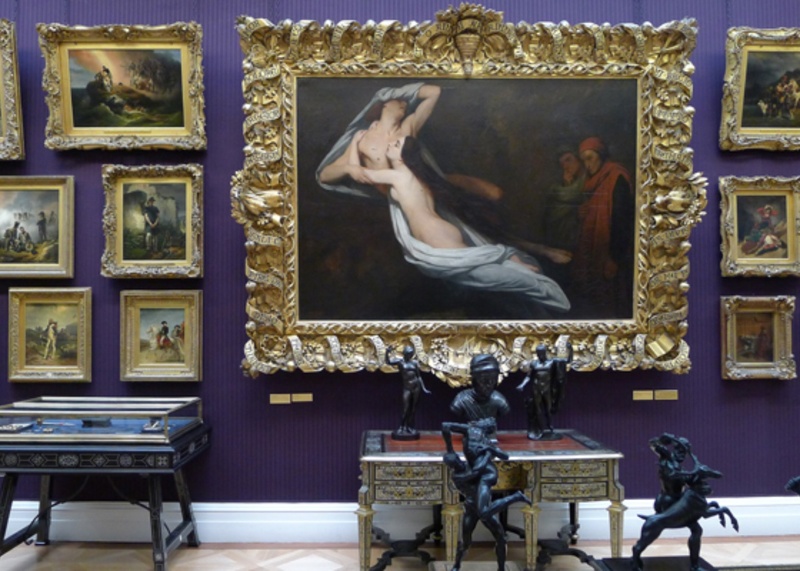 The permanent collection is outstanding; the temporary exhibitions are reliably fascinating. – The original Tudor Palace of the Duke of Somerset dates back to 1547, and the arts and culture center touches on every period in history since. But the most charming touch of modernity may be the pop-up skating rink in the courtyard that's open from November to January. – What began as an outdoor food market has turned into a little slice of gastro heaven: food stalls, farm-fresh produce, exquisite meats and cheeses, food wares, and the attending restaurants and wine bars to accommodate the crowds.